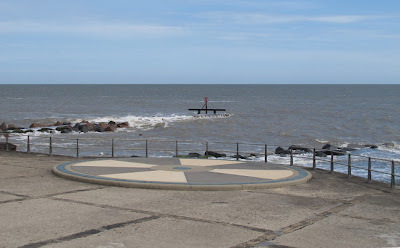 Ness Point in Lowestoft is the most easterly point in Great Britain and Northern Ireland, a fact marked by the Euroscope, a large circular installation designed by John Wylson and installed in the 1990s,which marking distances to various points in Europe. Fittingly, the distances are marked in miles - rather than kilometres - and we are variously told that the point is 465 miles from Dunnet Head, the most northerly point in mainland Britain and 352 miles from the Lizard, the most southerly point. Other extremities are available.